Call 716-565-2096 to book a time. 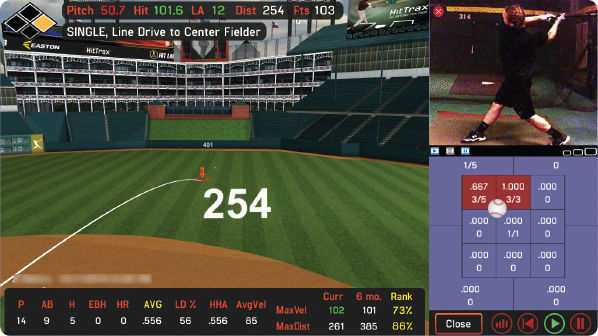 So much more than a training aid, HitTrax is the only data capture and simulation system that provides powerful performance metrics with a game time experience. 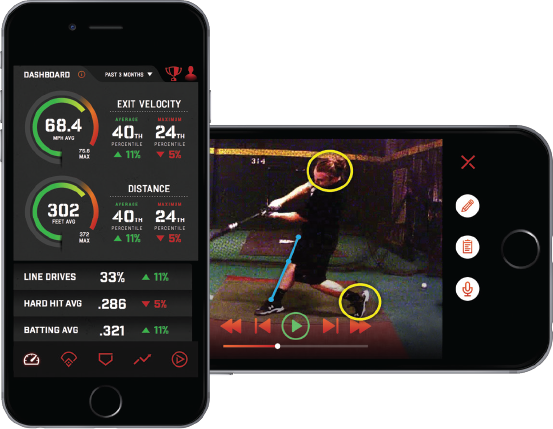 Using patented technology, HitTrax has revolutionized the baseball/softball industry by greatly enhancing training capabilities and engaging players like never before. INSTANTANEOUS FEEDBACK. REAL-TIME STATS. GAME CHANGING DATA. 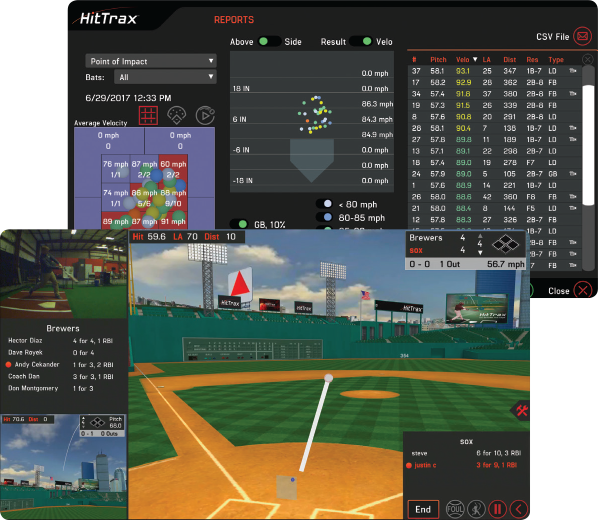 HitTrax measures key performance metrics and generates in-depth reports, allowing for pitch-by-pitch analysis, session summaries, and trend charting over any time period. With an unmatched experience, batters can view their performance as if playing in their favorite stadium while measuring metrics such as exit velocity and launch angle! Pitchers can see their late movement, along with pitch speed and location, and work to optimize their delivery. Pitchers and batters can even compete head- to-head in realistic at-bats, while all data is recorded simultaneously. First time users must initially book the Baseline Assessment with one of our HitTrax specialists who will work with you for a total of 30 minutes on registering you into the system, performing the assessment and reviewing the results with you. You will be emailed a report that will show advanced metrics in a wide variety of criteria. After your initial visit you can purchase the regular rate as often as you like, and you’ll be able to view the advanced metrics but won’t receive the one on one assessment with the HitTrax specialist. You can request an assessment every few months to track your progress, just let us know you would like the baseline assessment when you book the reservation! The Registration Fee is for entering each player on your team into the HitTrax system. The player and coach will receive an emailed report that will show advanced metrics in a wide variety of criteria for player and team improvement. Players can watch their hit soar through the outfield and view in-game statistics like never before. The Gaming Module brings the excitement of the outdoor game, plus the benefit of situational hitting. The HitTrax system will call balls & strikes, advance runners, and turn rally-killing double plays!